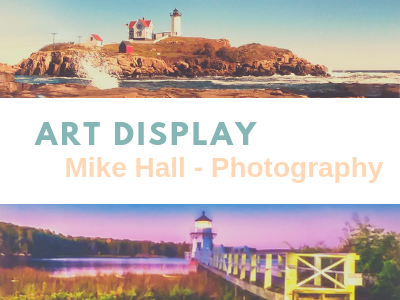 Escape the dreariness of Missouri winters when you view Mike Hall’s colorful, panoramic photos of lighthouses and waves crashing upon the shores of the coasts in Maine and California. Check out the differing moods of Columbia with scenes of local landmarks like the courthouse under a cloud filled sky at twilight and the banner bedecked columns near Jesse Hall. The Health Sciences Library is pleased to exhibit a selection of the late photographer’s works, showcasing his passion and talent for the art of photography. This display will remain in the library through the spring semester. 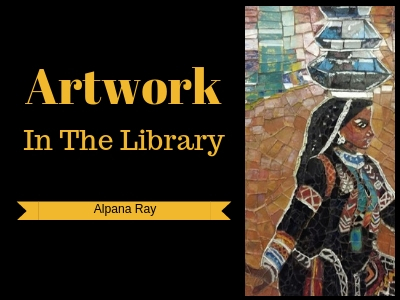 The Health Sciences Library is pleased to exhibit the works of artist Alpana Ray. By day she is a Mizzou professor, researching cancer, and by night she’s an artist creating mosaics inspired by sculptures, scenery, and nature. Come in and see the beautifully designed and brightly colored mosaics featuring diverse subject matter. Angular pieces of glass are skillfully assembled to create graceful, curving lines of the human body in motion and the delicate shapes of butterfly wings. Several of her works on display including Om, a hummingbird and a beachfront. 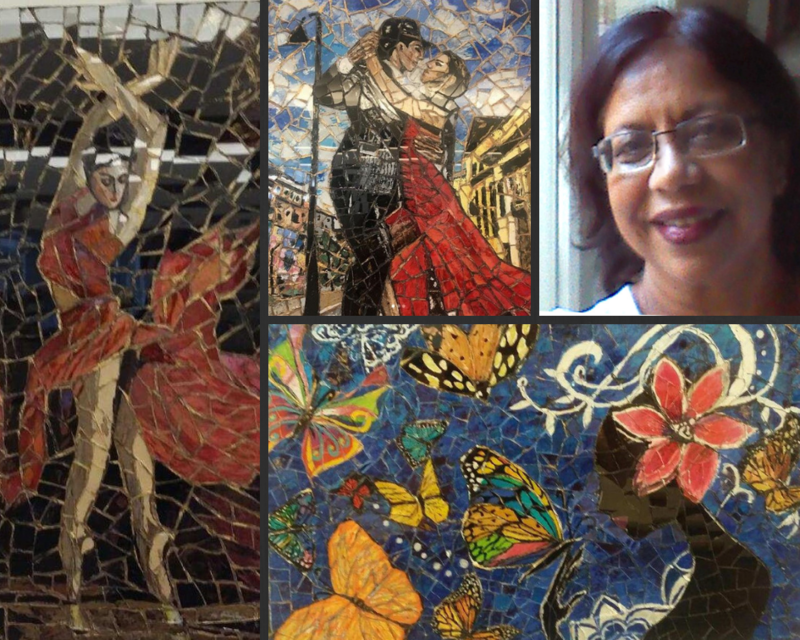 Dr. Alpana Ray is an entirely self-taught artist who, one day, decided to take more time to explore her artistic side. Alpana’s artwork provides her the opportunity to bring together her two passions: art and being environmentally friendly. She believes in living on a greener earth and chose broken glass pieces as her creative medium. It is her way of recycling what otherwise would be left to a landfill. When placed near a light source, these hand painted glass shards reflect light off the glass, giving a three dimensional effect, making it look like her mosaics are moving. This illusion is striking when viewed in person. Below is a small preview of Alpana Ray’s works. Be sure to take a look during your next trip to the Health Sciences Library and leave her a note. The mosaics will be on display through the end of the semester.